Fist prepare the Cobb Salad filling. Break little pieces from the Iceberg Salad and wash them. Break the cheese in little pieces, Fry first the bacon bits, then the chicken pieces. 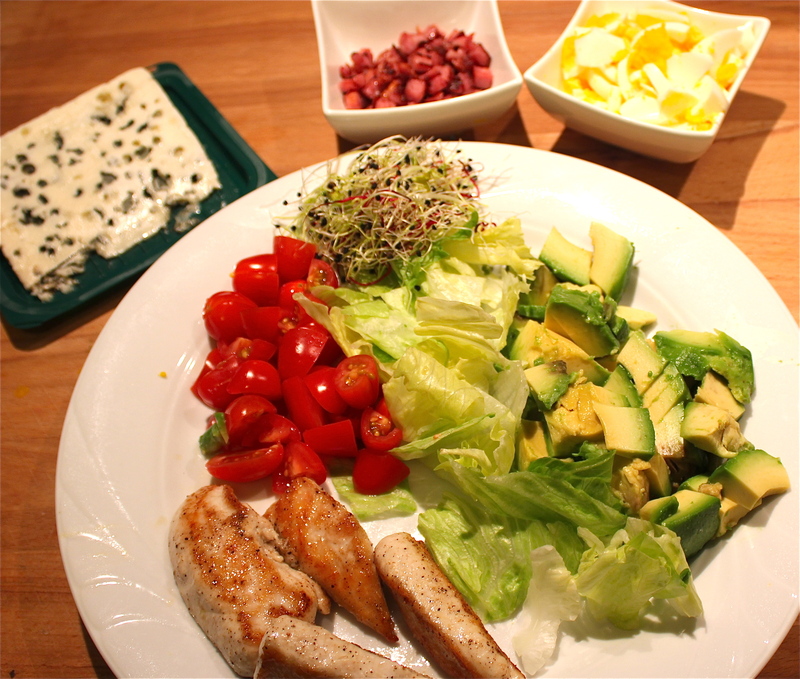 Prepare the halved Tomatoes, diced Avocado and eggs on a plate. Stir all the ingredients from the salad Dressing in a little bowl. 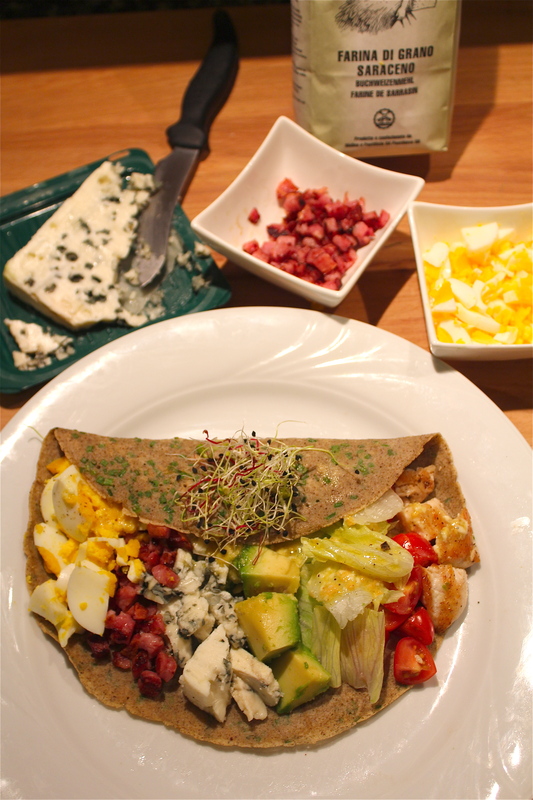 Then take a larger bowl and but in the buckwheat flour, eggs, salt and Pepper and a little bit of Water. Start mixing it well and add more water to it until you reach a liquid mixture. 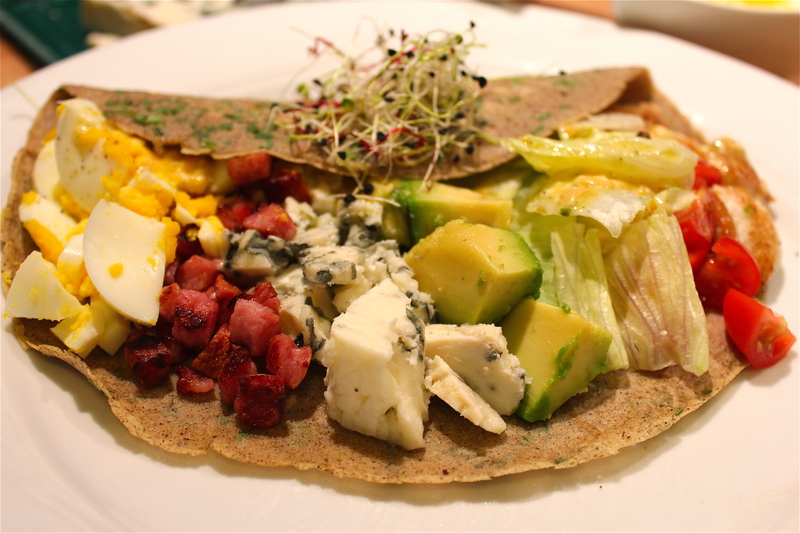 The Galette should be very thin. 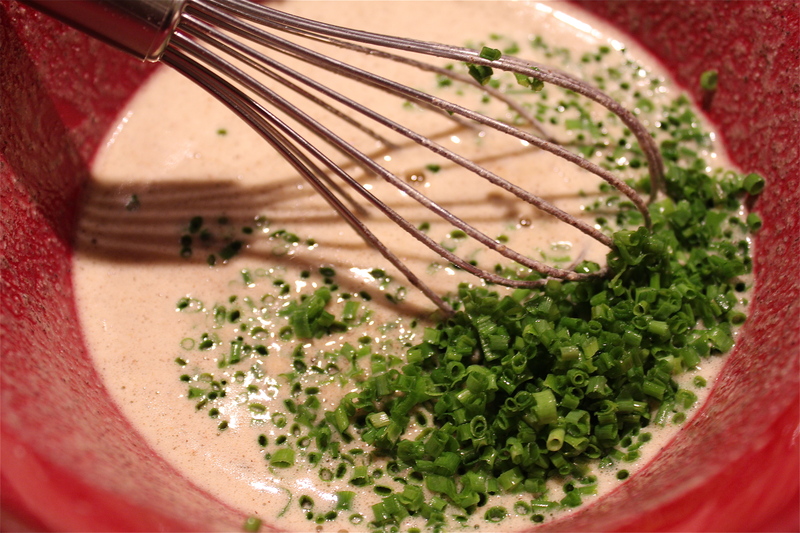 Then at the end you add the chopped chives to it. 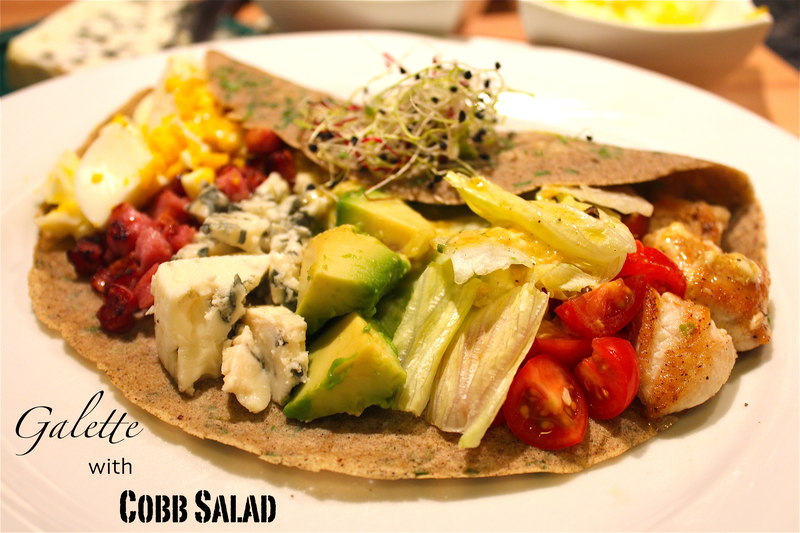 Put the Galette on a plate and fill it with the ingredients of the cobb salad, by making stripes of every ingredients. At the end you sprinkle the dressing over it and fold one half over. Decorate with sprouts.